If you bought apples from Dennis Jeeps, what you got was excellent apples. If you attended one of his talks on Old Willingham, you enjoyed a well-prepared, well-presented treat of historical knowledge, delivered with wonderful witty asides. While his cousin Mike Hopkins was alive, the Old Willingham occasions were joint performances. After Mike's death, Dennis continued with them - to everyone's great delight. Dennis was a perfectionist. He was an amateur local historian of distinction, who over the years immersed himself enthusiastically in the history of Willingham. His approach was rigorous, but it was also focused on the human: he was interested in, and knowledgeable about, the people who had walked the Willingham stage. He was also an excellent photographer. He recorded many of the 'great occasions' of village life, but his photographic interests were much wider than that. He had, for example, taken photographs of misericords in churches in many parts of Britain, and his talks on that subject were extremely informative and rooted in deep historical knowledge. Dennis could have been a professional historian. He would have been a first-rate teacher. He did not, however, follow that route, but went to work with his father and elder brother as a fruit farmer. He brought to that role the same high standards that he brought to everything else. And he had the knack of encouraging and enthusing the young. His affection for Willingham, and his deep sense of its history, were immensely valuable when the old school in Fen End finally ceased to be used (in 1975, when the new school opened in Thodays Close). The main building and the school teacher's house belonged to the British School Trust, which had been set up to provide the school, which had been opened in 1856. Now that it was no longer needed as a school, the Trust had to sell school and house, to invest the money to provide continuing educational support for the village. It was typical of Dennis that, as one of the Trustees, he made himself an expert on charity law and practice, and wrote the new Scheme, which was accepted without amendment by the Charity Commission, and which still provides the framework for the continuing positive contribution of the Trust to the village. 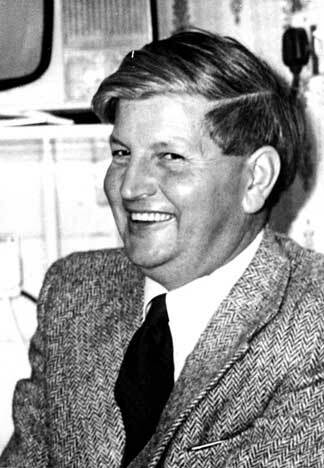 Dennis Jeeps was a 'one-off' - erudite, witty, warm, enthusiastic - a major contributor to the life of the village.